Advance to the Rhine is a ground forces map available in all modes. Being a "generalized recreation" of the city of Cologne, Germany, it was added in Update 1.53 "Fire Storm". 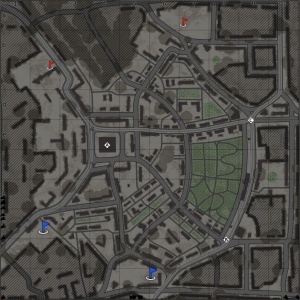 The map is very close quarters, with fighting taking place on the city streets of Cologne. 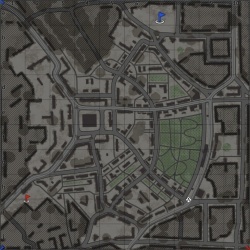 The majority of the map is made up of bombed out buildings, with a large tower statue in the west, and a more open park area in the east of the map. 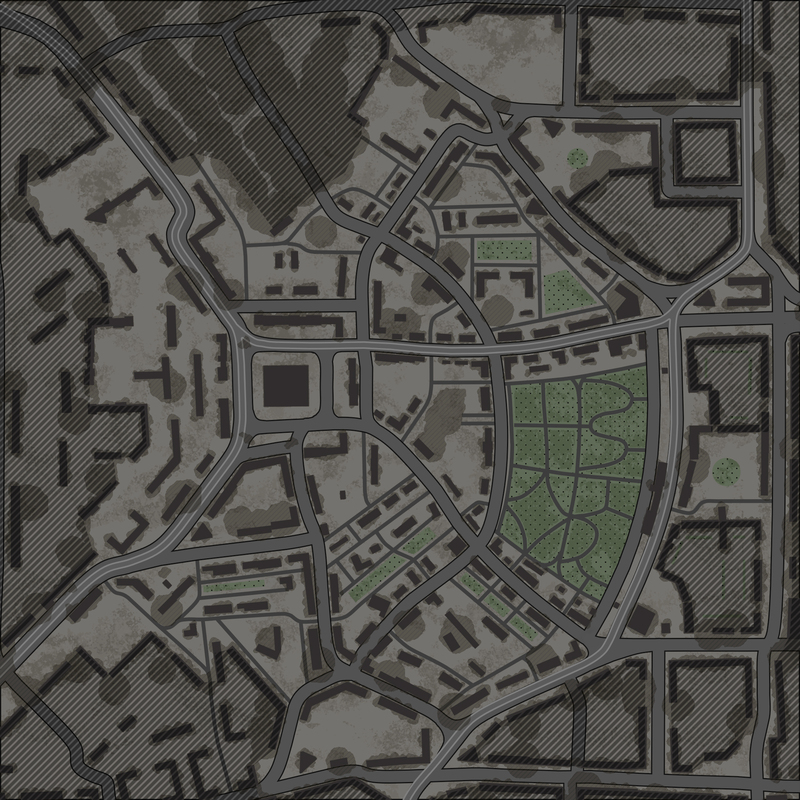 The full tank map is 1.05 km x 1.05 km, making it the smallest tank map in the game. The air battle area is 65km x 65km. Teams fight for control over the bridges leading to the other side of the Rhine. The devastated urban environment of "Advance to the Rhine" is based off the conditions of the city Cologne in Germany. During World War II, Cologne was the Military Area Command Headquarters for the Military District of Münster. The city was subjected to multiple air raids by Western Allies bombers throughout the war. In March 1945, the city was the target of the U.S. First Army in their path towards the Rhine River. It was here that a famous tank encounter occurred that was captured by Signal Corps member Jim Bates. A Panther tank taking position near the Cologne Cathedral gave the Americans heavy resistance, knocking out a M4A1 (76) lead in a tank platoon. Noting the heavy fire from a high-velocity gun, the crew of a M26 Pershing, commandeered by Sergeant Early, maneuvered around the Panther and in a meet-up with both of their guns pointing at each other, the Pershing fired off the first shot, hitting the Panther straight in the hull side. The Pershing fired two more shots as the Panther crew bailed out of their burning tank, ending with a catastrophic explosion of the Panther's ammunition. The German garrison in Cologne soon surrendered to the Allies around March 7th. This freed up many American soldiers to exploit a new breakthrough discovered at the German city of Remagen, the still-standing Lundendorff Bridge over the Rhine. The large tower statue as seen in the map's thumbnail is the landmark in most game modes for a flag point. At present this map has the same layouts in AB, RB and SB. In AB point A is around the statue / column in the west, point B is at the southeast intersection, and C is at the northeast intersection. In RB point A is around the statue / column in the west, point B is at the southeast intersection, and C is at the northeast intersection. In SB point A is around the statue / column in the west, point B is at the southeast intersection, and C is at the northeast intersection. In AB the capture point is around the statue / column in the west. In RB the capture point is around the statue / column in the west. In SB the capture point is around the statue / column in the west. In AB the capture point is at the southeast intersection. In RB the capture point is at the southeast intersection. In SB the capture point is at the southeast intersection. In AB the capture point is at the northeast intersection. In RB the capture point is at the northeast intersection. In SB the capture point is at the northeast intersection. In AB the capture point is in the middle of the park in the east of the map. In RB the capture point is in the middle of the park in the east of the map. In SB the capture point is in the middle of the park in the east of the map. In AB the capture points are located at the northeast and southeast intersections. In RB the capture points are located at the northeast and southeast intersections. In SB the capture points are located at the northeast and southeast intersections. This page was last edited on 3 April 2019, at 04:17.